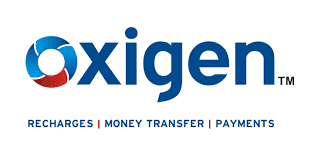 Get Free 45 Rs in oxigen wallet : Hello friends oxigen wallet is online wallet same like paytm but from this wallet you can transfer money to bank account also with minimum Rs 10.Oxigen wallet has comw with an amaing offer in which they are offering Rs 20 Cashback on Load money of RS 10.. This offer is valid only for new users and offer is valid from 5th June, 2016 – 25th June, 2016. So Hurry up and avail this offer now !! 1. First of all Go to message app of your phone. 3. After few minutes you will receive an sms from oxigen wallet with a downloading link as shown in screenshot below. 4. Download The oxigen wallet app using the link given in sms. 5. Now Register for a new account and after you successfully created the account Rs 25 will be credited within few minutes. 8. That’s it, you will receive Rs 20 as cashback in their Oxigen Wallet within 48 hrs after successful load money. 1) The offer is valid from 5th June, 2016 – 25th June, 2016. 4) Customer will receive an app download link on his/her mobile Number from which the SMS is sent. 5) Customer should download Oxigen Wallet App & Register. 6) Customer should load min. Rs 10 in his/her Oxigen Wallet using App only. 7) All qualified users will receive Rs 20 as cashback in their Oxigen Wallet within 48 hrs after successful load money. 8) Offer is applicable only for new users signing up using Oxigen Wallet App during the offer period. 9) Offer is valid only once per unique mobile number.